Tag Archives for " Maggie Patterson "
The idea of conversion rate is nothing new, but I’m always surprised by how many small businesses with a web presence are ignoring this key metric in their business. If your website is a key component of your sales and marketing process, determining your conversion rate can paint an accurate (and often surprising) picture of what’s really going on with your website. 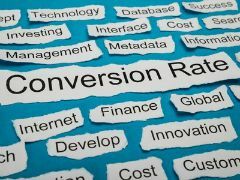 If you’re wondering what a conversion rate is, here’s the simplest answer for a complex topic. It’s the percentage of visitors to your site that complete a specific goal. 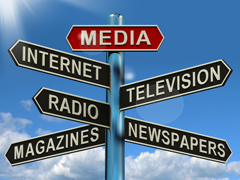 For example, how many visitors to your site purchase a certain package, sign up for your newsletter or book a consult. Typically, when it comes to measuring website success, we look at our total number of visitors per month. We login to Google Analytics and note we’re getting a certain number of visitors per month, so we feel like our marketing efforts are working. Or we decide that we need to work on getting more traffic to our site. But measuring website traffic without understanding our conversion rate provides a skewed picture of our performance. We can focus our marketing efforts on trying to increase our traffic to our website, or we can spend our time optimizing the site so we can convert more visitors into action. If you already have people visiting your site, improving your conversion rate gives you a tangible way to boost key business metrics. For example, if you currently convert 1% of your visitors into buyers, what happens if you double your conversion rate to 2%, or even 3%? Instead of focusing marketing efforts on generating more and more traffic that may not convert, focusing on conversion rate optimization enables you to improve your performance over time. The truth is, if you can’t convert your traffic into subscribers or buyers, your marketing is failing so matter how much traffic you may have. To get started with figuring out your current website conversion rates, you need to first figure out what exactly you want to measure. Purchase a specific product or service. Sign up for email updates or a free offer. These are some basic to measure as you get started. As you get more comfortable working with your conversion rate, you can get more sophisticated and segment your data to give you even more insight. For example, with sales, you may look at how many of your sales are from new visitors or returning visitors, or looking at the source of that traffic in more detail. Measuring conversion rate is much simpler than more people realize, and can be done using a tool that most of us are already familiar with, Google Analytics. Google Analytics’ Goals feature enables you to set up goals on your site that will track your conversion rate on specific visitor activities. A clear idea of the goal you want to measure: sales, subscribers, etc. A separate thank you or landing page that your visitor arrives on once they’ve completed the goal. This can be a page on your site or set up using a tool like LeadPages. The most important thing is that your page is attached to that goal and you’re not sending other traffic to it or you’ll skew your data. Now you’re ready to set up a goal, which will only take you a few minutes. You can find a short tutorial from Google here, or you can watch a video walk through of setting up a goal here. There are several different types of goals you can set up, but for basic conversion rate information on your site, focus on URL destination goals. Once you’ve nailed the essentials, you can come back and set up goal funnels or look at event-driven goals for more advanced data. Tracking your conversion rates may seem like extra work, but once you get started, you’ll quickly see how various offers and elements of your site are performing and what visitors to your site are actually doing once they arrive. From there you’ll have what you need to work on optimize your site and start turning more browsers into buyers. 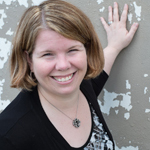 Maggie Patterson is a communications strategist and conversions-focused copywriter who works with small businesses to help them create thriving online-based businesses. 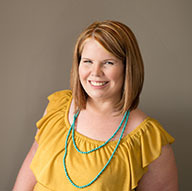 She has 15 years of experience as a marketing consultant and her work has been featured on sites including Entrepreneur.com, Virgin.com and Social Media Examiner. You can learn more about how to optimize your small business website to convert more browsers into buyers with Maggie’s free 7-Day Conversions Challenge. You can get immediate access to the challenge here.